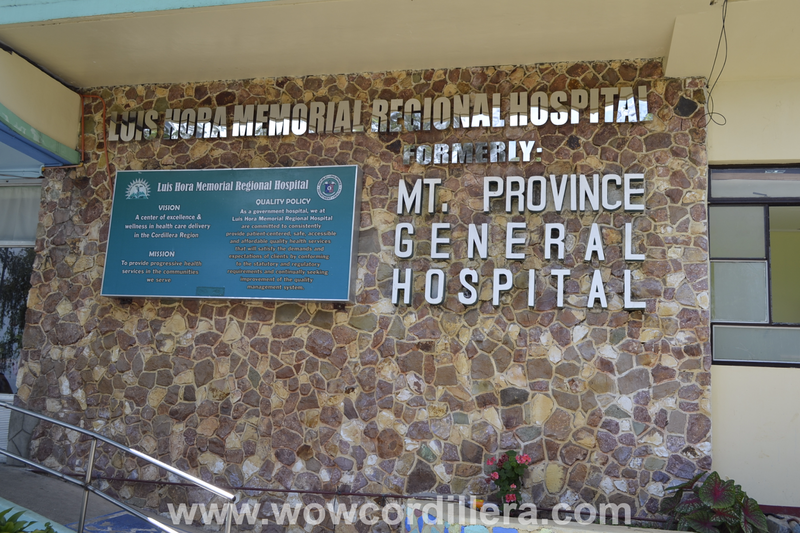 Cordillera - Medical services to the people of Mountain Province is expected to be enhanced with the turnover of a CT (computed tomography) Scan machine to Bontoc General Hospital (BoGH) from St. Luke's Medical Center last February 28, 2019 according to Mountain Province PIO. Rt. Rev. Brent Harry W. Alawas said that Bontoc General Hospital is a lucky recipient of this first-class, state-of-the-art CT scan given by St Luke's Medical Center. "There was quite a number of big hospitals that were competing for the CT Scan machine, which is not only an ordinary CT Scan but is considered first-class, state-or-the-art and which worth is close to a hundred million pesos," Bishop Alawas said. Ms. Emarfil Marie Q. Whale, the outreach program manager of St. Luke's Medical Center said that Bontoc General Hospital met all the criteria; thus, being the ultimate recipient of the CT Scan machine. She also thanked the office of the province's representative for readily providing transport for the machine. "The process in bringing the machine to Bontoc seemed like a daunting task, but it had to be done because this will be of great assistance to the people of Mountain Province. It shall save time of travel, money and it will ensure that clients will be receiving better health services that Bontoc General Hospital can and will provide. Thank you Atty. Cyphine Maxcel Dalog for your assistance," she said during the turnover ceremony. "Through everyone's selflessness, a task which I thought was impossible due to the winding mountain paths was done and is now here for everyone to use. Today we are all witnesses to the improvements of the hospital and its increase in better health facilities not only for the people of Mountain Province but also for various provinces who may seek the services of the BoGH," she added. source || Mountain Province PIO FB page. Cordillera - Considered as one of Team Lakay's rising MMA star in the pipeline, Lito Adiwang proved once again that he is going straight to becoming a world champion someday. The Baguio-based young fighter got his chance to join Rich Franklin's ONE Warrior Series and had his second big break when he floored down Alber Corrreia da Silva earlier in the first round during their encounter in Singapore yesterday. 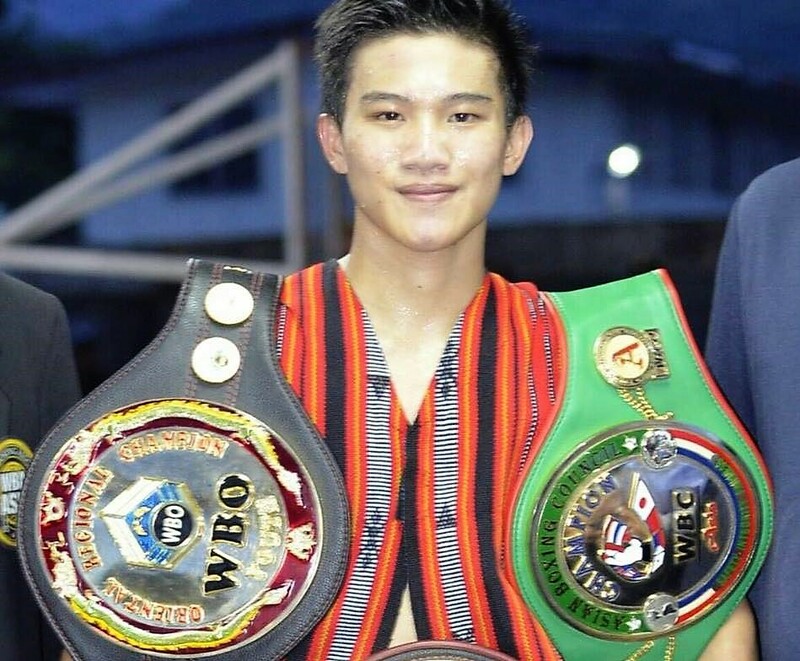 The 25-year old Adiwang used his unconventional way of attacking his opponent. His unanticipated assault followed by his blinding speed in punching made a big difference in the fight. He caught Silva with a big left straight causing Silva to recline to the canvas. Adiwang didn't miss his chance, he followed Silva to the ground and unloaded series of big punches forcing the referee to halt the fight in under 45-seconds. Adiwang's excellent performance gave yet another victory for La Trinidad-based MMA Gym Team Lakay. 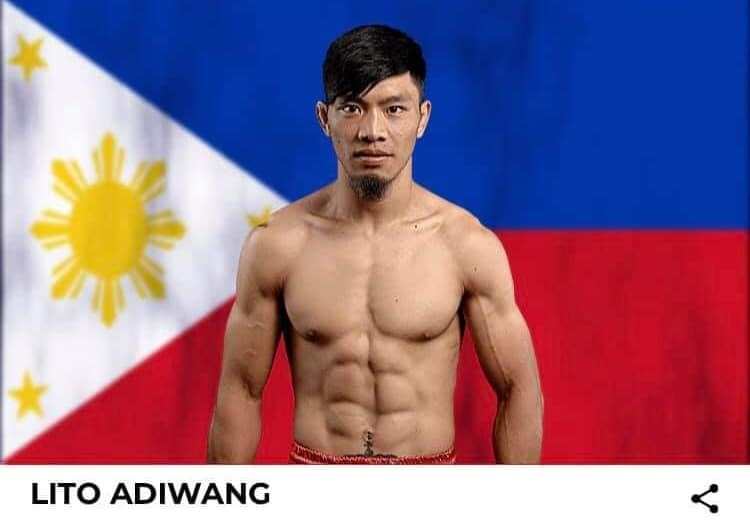 Adiwang now improved his record to 7-2. Will Adiwang be the next exciting fighter for Team Lakay and can follow the footstep of top-tier Team Lakay champions like ONE Lightweight World Champion Eduard Folayang and ONE Interim Bantamweight World Champion Kevin Belingon? The big chance is there especially that he is under the careful watch and mentoring of one of the best coach Mark Sangiao. Cordillera - Couples planning to get married would want to choose Baguio City as the perfect venue for the most important day of their lives. 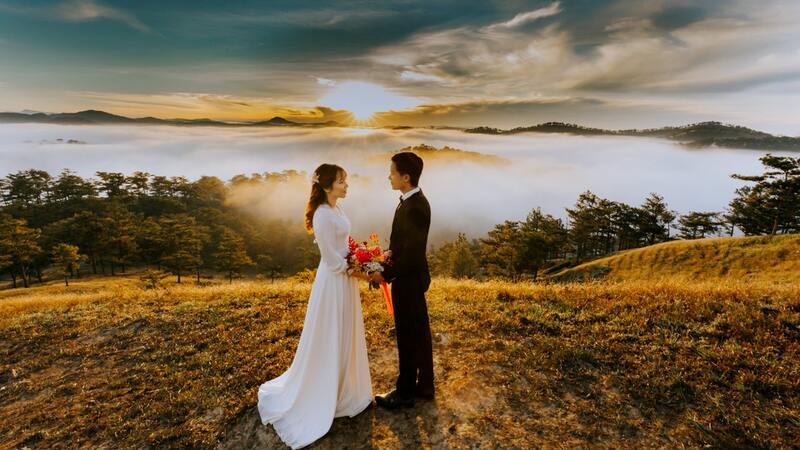 Aside from being the Summer Capital and a premier tourists destination in the country, Baguio city is now becoming a wedding capital especially that the city council of Baguio has proposed an ordinance making it as honeymooner's haven of the north. In fact the ordinance has already been approved on the first reading. Baguio city has so many reasons to be declared as the wedding capital of the Philippines. The romantic scenery and the cool weather are almost perfect for couples to hold their wedding and spend their honeymoon. The city has so many establishments like beautiful hotels, food and wedding businesses that can cater to wedding needs. Also, as stipulated in the ordinance, many couples from different parts of the world often choose Baguio City to hold their important events because of the cool climate. These are the reasons, Councilor Leandro B. Yangot, Jr, the author of the ordinance wanted Baguio to be declared as Honeymooner's Haven and wedding destination of the north. 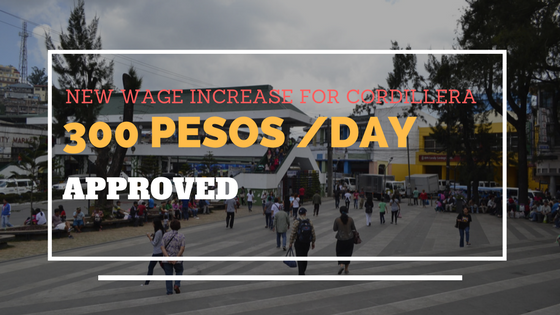 According to Yangot, the adoption of the measure is seen as one of the major drivers of the local economy as many of the hotels and business establishments would double their profits because of this ordinance. Tax incentives would also be given to hotel owners and operators who are supportive to this program. A 10 percent exemption from payment of business taxes of their gross sales will be given to them if they hosted wedding and honeymoon events. 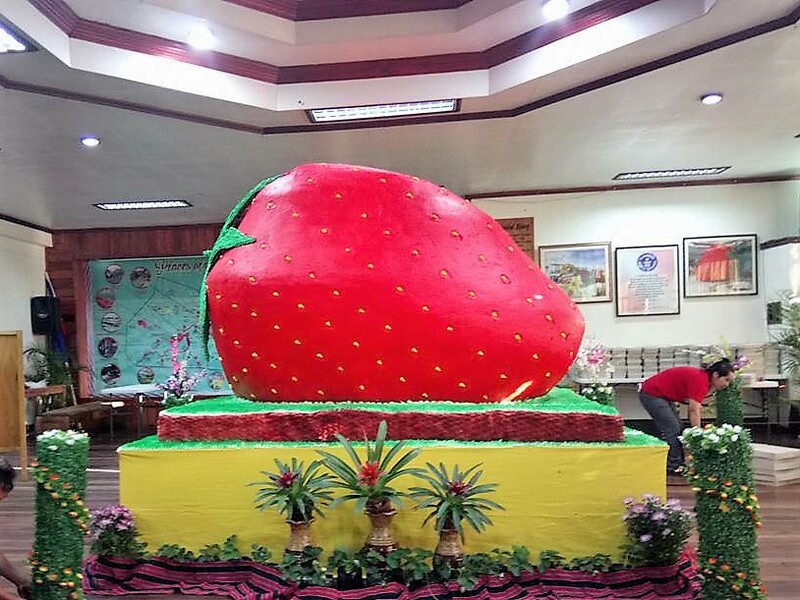 According to La Trinidad Mayor Romeo Salda, the giant strawberry cake will be a replica of the 2004 cake that gave the town the Guinness World Record for the biggest strawberry shortcake. The cake weighed 9,622.24 kilograms and was served to more than 10,000 persons. The celebration of the upcoming Strawberry Festival aims to promote the town as the strawberry capital of the Philippines and hopes to encourage local and foreign tourists to visit the town. "This is also an avenue to promote, not only La Trinidad Strawberries but also the town's many other products which are derivatives of the berry while celebrating the town's cultural diversity and richness," Salda said during a press conference. Last two years ago, the town has baked the first replica of the giant cake with the measurement of 1.5 meters high by 1.8 meters wide by 2.5 meters long and weighs at 2.5 tons. This year, the town will showcase the award-winning cake with the same design and the same measurement. and 10 kilos of food coloring. The total cost of the cake is Php500,000 and it can make 500 pans which when sliced will make 16,000 slices. Funds from the cake is going to pay for the expenses of the organizers. 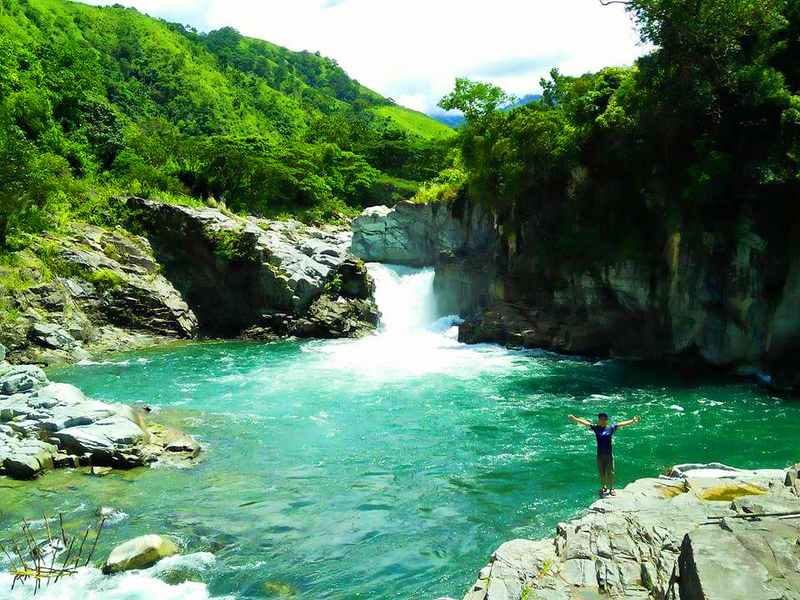 Read More Eco-Travel Destinations in Cordillera by visiting Daniel's Eco-Travel website here. Cordillera - Philippine biggest convenience store 7-Eleven has opened its first store in the city of Tabuk in Kalinga. 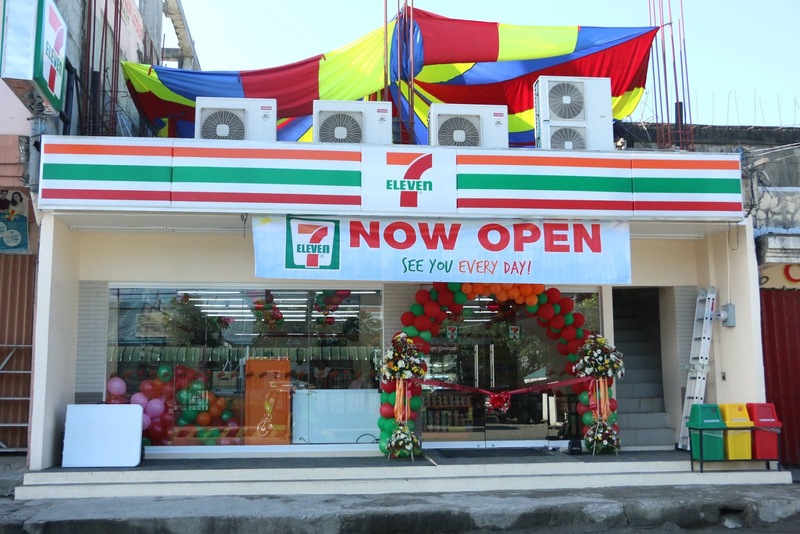 The first ever branch of 7-Eleven convenience store is located along Quezon St. in Dagupan, Tabuk City. Kalinga Province Jocel Baac, Tabuk City Mayor Ferdinand Tubban, and Vice Mayor Darwin Estranero lead the grand opening on Saturday. 7-Eleven Inc. is a Japanese-owned American international chain of convenience stores. 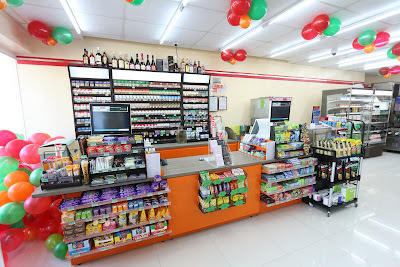 It sells different kind of foods ranging from snacks, hot and cold beverages, different beauty products, personal care products and so much more. 7-Eleven is generally open 24 hours and 7 days a week. 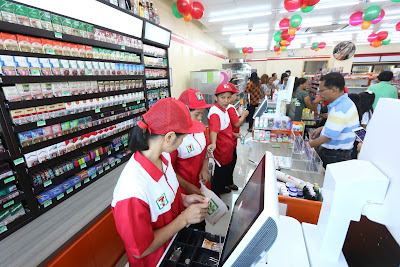 The 7-Eleven brand is known and loved around the world because it focuses in making life easier for customers. Almost anything people needs and wants can be bought in the store without going to big supermarkets and malls. In the Philippines, 7-Eleven is run by the Philippine Seven Corporation (PSC). Its first store was opened in 1984 in Quezon City. 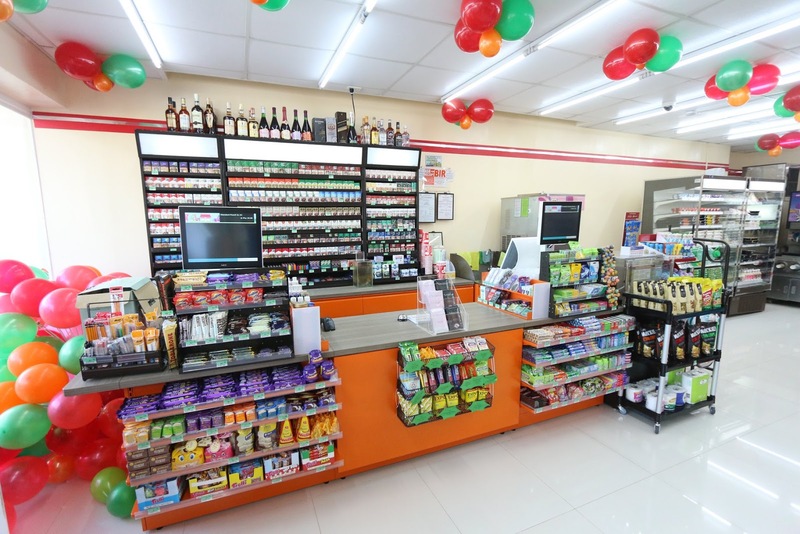 As of 2017, 7-Eleven stores has reached over 2,285 branches all over the Philippines. It has helped hundreds of Filipinos by providing them jobs as clerks, managers and store keepers. It has also helped many Filipino entrepreneurs to own a business by offering them a franchise business where they provide world-class training and support to the franchisee. Cordillera - Cordilleran MMA fighter Danny "The King" Kingad is now officially part of the ONE Flyweight World Grand Prix contest as ONE Chairman and CEO Chatri Sityodthong announced in his FB account the line-up fight for the said event. 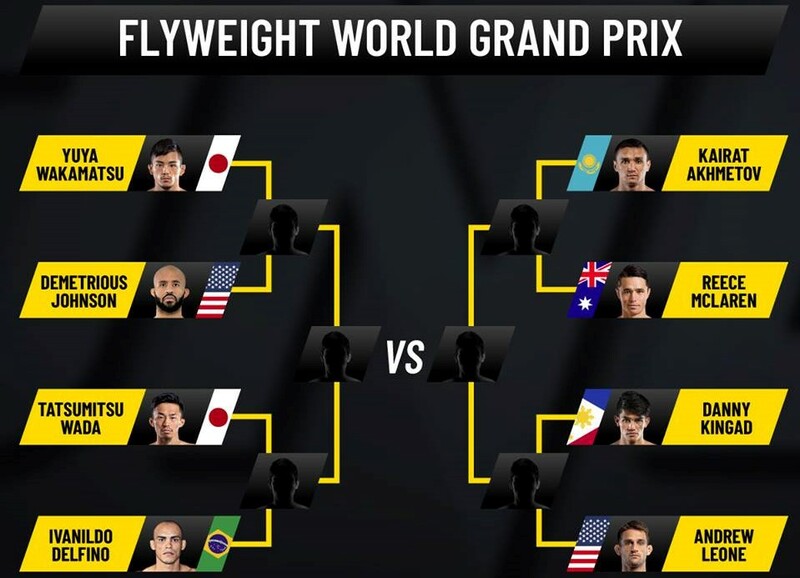 "BREAKING NEWS: The ONE Flyweight World Grand Prix kicks of at ONE: A New Era on March 31 in Tokyo, featuring all quarterfinal fights with some of the best flyweights on the planet together! BOOM!!! Stay tuned for more big news"
That was the announcement of ONE CEO Chatri Sidyothong in his Facebook Page on Thursday (Feb. 21, 2019). It would be a 'wish came true' for the Cordilleran fighter as he was looking for this opportunity to be part of Grand Prix where he is going to showcase the best of himself to earn a title in the sport. In an interview from local media, Kingad said he was very excited to showcase his talent against the best in his division. Now that he is part of the event, he said he will be doubling his efforts and will train harder. "I am very excited to showcase my talent against the best in my division. Expect me to double my efforts and to train harder now that I'm already part of the ONE Flyweight World Grand Prix," Kingad said. "I am looking forward to fighting the top talent and earning that world title. I think everybody has the right to earn their spot, and I'm here to earn my spot," he added. On March 31, Kingad will be facing Hawaii based fighter Andrew Leone. READ ALSO: Undefeated Ifugao boxer Carl Jammes dubbed the new Manny Pacquaio. Andrew Leone was a former foe of Kingad's team mate Kevin Belingon. Leone suffered a brutal defeat in the hands of Belingon during their encounter last year via 2nd round TKO. Mt Amuyao is the premium ecotourism destination of Barlig. 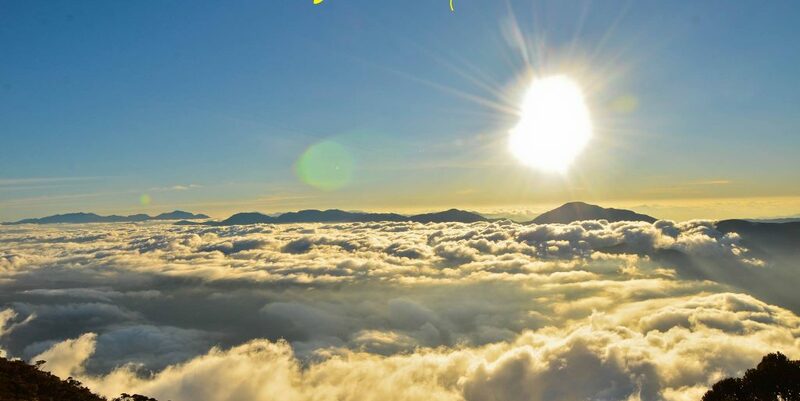 Soaring to more than 2, 702 MASL, it is the highest peak in Mountain Province and the fourth highest in Luzon. 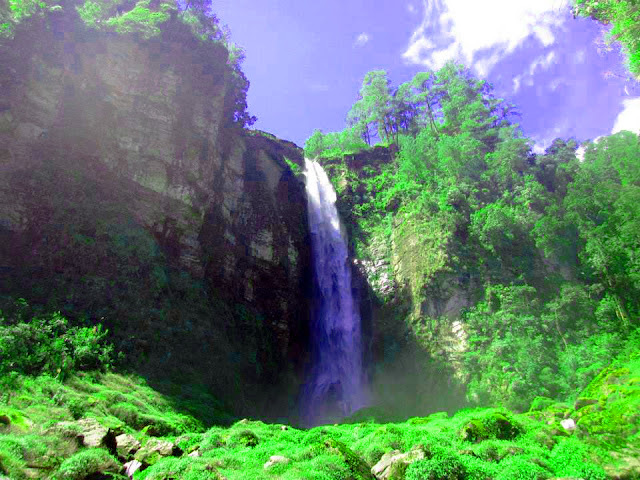 Some sources, however, suggest that Mt Amuyao is 2, 862 MASL. If verified, this will make it to the top ten highest mountains in the Philippines. Before hiking to Mt. Amuyao, tourists should register at the Municipal Tourism Office (MTO) of Barlig and pay 25 pesos each. A guide is also required for every five tourists. Fee per guide is 1,500 pesos for a day. If overnight is preferred, the guide fee is 2000 pesos. For every excess in the pack, 100 pesos is required each. Mt Amuyao is part of barangay Macalana. 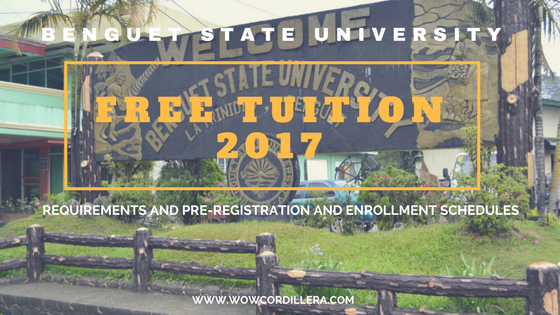 Thus, the it also collects an environmental fee of 50 pesos per person. All in all, the hike to Mt Amuyao can take three to five hours, depending on one’s pace. The sights to see atop Mt Amuyao are every mountaineers dream. Foremost of which are the beautiful sunrises and sunsets. Stunning sea of clouds frequently appear. According to the locals, the best time to go to Mt Amuyao is just after the rains. They claim that the sea of cloud formations are at their best during these times. During the summer months of March to April, the bonsai forest of Mt Amuyao comes in full bloom. Flowers of different colors spring in full display. Even white orchids can usually be spotted especially along the trails. Just like in Mt. Pulag, Mt. Amuyao has groves of mini-bamboos. Undefeated Ifugao boxer Carl Jammes Martin knocks out Thai foe in 3rd round. Cordillera - Promising young boxer from Ifugao proved once again that he has the power punch of a champion after defeating his Thai opponent just before the end of the 3rd round. The 19-year old Martin didn't give any chances for the veteran Thai champion to dominate the fight as he scored two knockdowns in the first round and in the third round before finally ending the fight with TKO near the end of the third round. Martin has now improved his undefeated record with 12 wins with all 11 wins coming by way of TKO. The young boxer is a native of Lagawe, Ifugao and had been training under his new coach Gerry Penalosa who is giving him a push in his career after his brother Abel asked help from Gerry to allow him to train in his gym after the gym where Martin used to train were destroyed by Typhoon Rosita. Peñalosa donated three pairs of boxing shoes and two heavy bags to Martin for his training. According to Peñalosa, Martin's explosiveness and left-handed punch reminds him of Manny Pacquiao's power. "The kid has charisma. He's not hard to talk to. Carl is explosive and left-handed. He reminds me of Manny and has tremendous power. What he lacks is experience. We won't rush him. We'll test him and bring him up slowly. By next year, he could be ready for a world title shot." Peñalosa said. At a young age, Martin revealed that Manny, Penalosa, and Z Gorres are his idols. Since he was a kid, he loves boxing and he hopes that one day, he'll make a name for himself in the ring as a champion as well. Like his cousin Stephen Loman, who is now a famous MMA fighter under Brave Combat Federation and his town mate Kevin Belingon under ONE Championship, Martin will soon become a new Cordilleran champion. Cordillera - Team Lakay's female MMA fighter Gina "The Conviction" Iniong proved herself to be the better fighter tonight as she defeated her Malaysian foe Jihin "Shadow Cat' Radzuan at the ONE: Clash of Legends held in Bangkok, Thailand. 29-year old Iniong from Baguio City showed greater experience in the ring as she outpoints her younger opponent from Malaysia. After three rounds in the cage, all three judges scored the fight via split decision declaring the Igorota from Cordillera the winner. 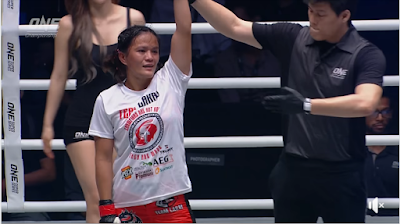 Iniong has now improves her professional MMA record with eight (8) wins and four (4) losses. READ ALSO: Undefeated Ifugao boxer Carl Jammes Martin knocks out Thai foe in 3rd round. ONE: Clash of Legends is the first ONE Championship bout to be held in Thailand this year featuring Muay Thai fights and Mixed Martial Bouts including Iniong VS. Radzuan in the women's atomweight division. 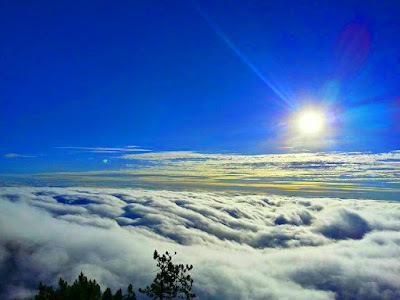 Cordillera - The beautiful town of Sagada and its humble people are welcoming tourists around the world to come and visit their place and experience the unique culture of their people. 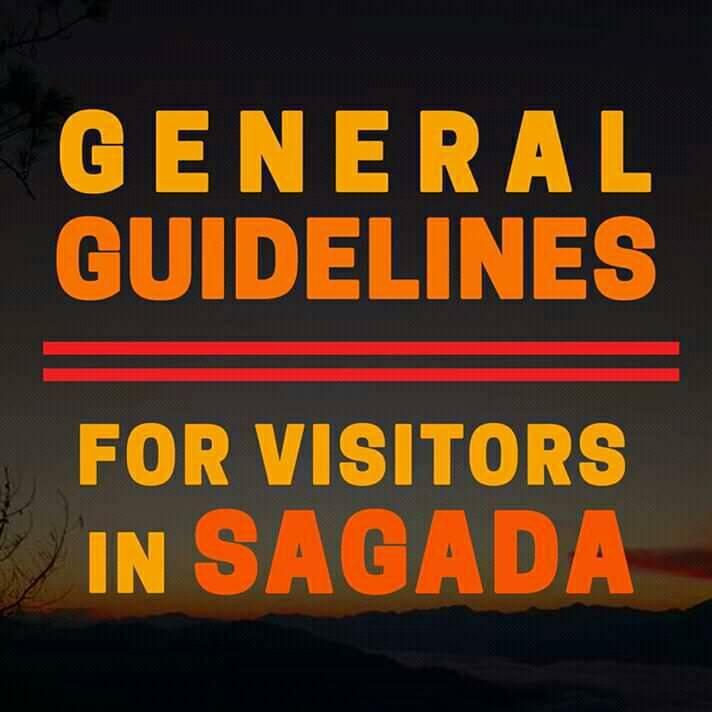 But before you pack your things and go to their place, the local government wanted to remind you of these simple guidelines that you should keep in mind when in Sagada. Sagada's town mayor Mr. James Pooten issued these guidelines for tourists via the Philippine News Agency website. All visitors are required to register at the tourism office where they pay certain fees like the environmental fee and guide fee among other fees. "Travel agencies, groups, and individuals must register for the tours at the Tourist Information Office (TIO)," Pooten said. He reminded the tourists to bring their official receipt with them which will serve as their entrance pass to the tourism sites. Visitors who would like to visit the Echo Valley, Lumiang and Sumaguing Cave don't need to bring their car with them because the place is near and only require short walks. They can leave their cars at the designated parking area. 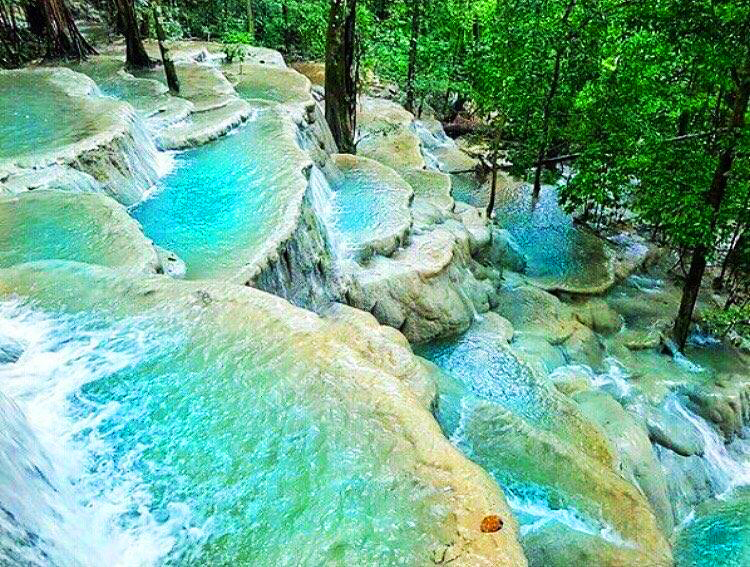 "Fetching of tourist is only allowed from Sumaguing cave back to the town center. There will be no designated parking space near the cave," Pooten added. He said all tourist vehicles, whether private or government-owned, are required to park their vehicles during their stay in Sagada at their hotel parking or in pay parking areas. 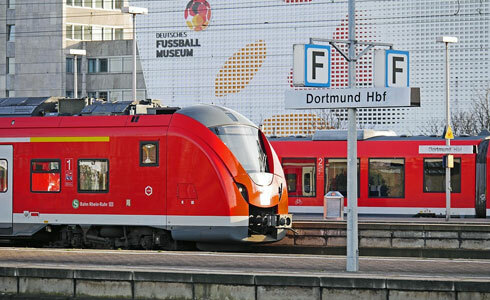 "Only local transport shall be allowed to ferry tourist to identified sites. Registered municipal tourist shuttle will have one general line up stationed at the Tourist Information Center," he said, noting that this would assure that all tourists are accounted for and are safely back at their lodgings at night. For accommodations, Pooten said that only LGU and Department of Tourism (DOT) accredited inns, hotels or home stays under the Sagada Inns and Hotels Association (SIHA) will be allowed to operate as accommodations. These establishments must follow the standard pricing, he added. Regarding waste management, Pooten said tourist are encouraged to bring their own refillable water tumblers and discourage from using plastic bottles. 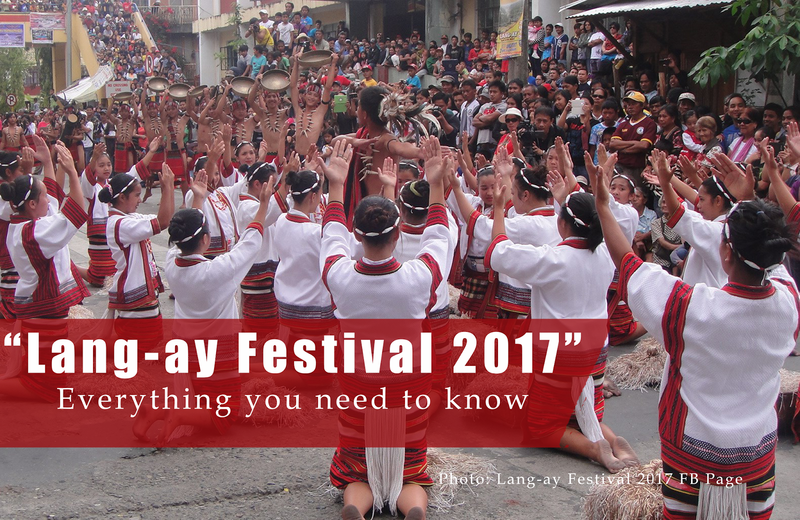 Pooten also remind tourist to respect Sagada's culture especially when visiting sacred sites and participating in the local rituals. "Please respect the culture. Keep a distance from rituals or any sacred sites. Do not touch or disturb coffins or burial sites. Do not attempt to join or film any rituals without direct permission from the presiding elders," he said. "Do not disturb mass in the church or shoot videos/photos in or around the church during mass," Pooten added. Sagada has so many places to spend time during the holidays and it's one of the most visited places in the Cordillera especially this coming months where a lot of festivals will be celebrated. Cordillera - Nine Cordilleran police from different municipalities were awarded medals for their cooperation, hard work and perseverance. Two different police medals were awarded to them. These are the Medalya ng Kalingan and Medalya ng Papuri. The Medalya ng Kagalingan was awarded to Supt. Radino S. Belly, Senior Police Officer 2 Geofrey Langbayan, and SPO1 Benafin Dacuyong Jr. 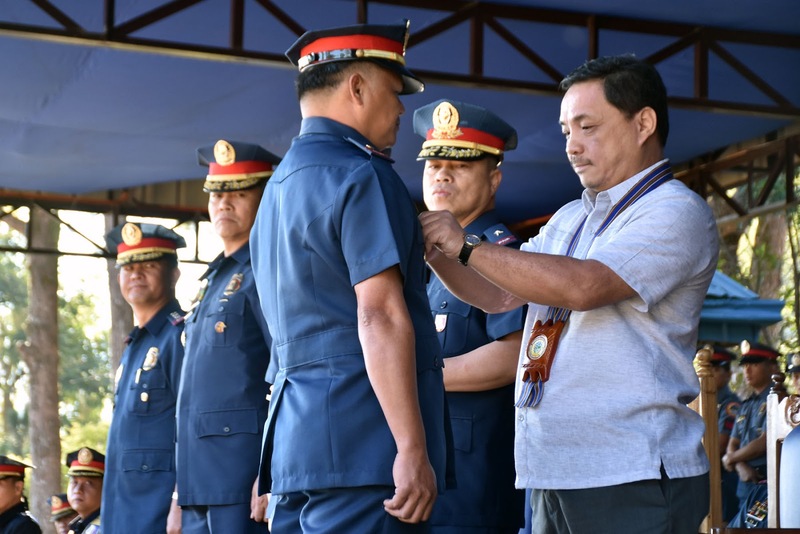 The cops received award after a successful anti-illegal drug operation that resulted in the confiscation of illegal drugs worth more than 3 million pesos in Kayapa, Bakun and Tacadang, Kibungan, Benguet last month. Another Cordilleran cops who received the same award are Sr. Insp. Edwin Sergio, SPO1 Melvin Llanes, and SPO1 Arsenio Vidal, for serving a search warrant against Jomar Barbosa Puruggganan and the confiscation of 21 sachets valued at P102,690.20 during a drug bust on Feb. 1 in Sitio Pacpaco. Meanwhile, the Medalya ng Papuri was given to Insp. Nicasio Sacliwan, SPO3 Washington Kitongan and SPO2 Prudencio Tinong, for the arrest of Real Gold Boclongan Olsim, and Celso Bayongan Capuyan, who were arrested of illegal-drugs worth P17,043.52 in Purok Datu, Bulanao, Tabuk City Kalinga in January. Cordillera - The National Police Commission (NAPOLCOM) listed cops from the Cordillera Administrative Region were among the country's most disciplined law enforcers. The assessment report by NAPOLCOM which was released by the Regional Internal Affairs Service (RIAS) of the Police Regional Office-Cordillera (PRO-COR) stated that Cordillera policemen were included in the country's top three most discipline cops. The reason according to RIAS-CAR director Senior Superintendent Jimmy Catanes is that only 1.6 percent from the 6,224-strong regional police force have been subjected to charges ranging from simple to grave offenses only. According to Catanes, this is so far the lowest ratios of policemen being charged among all the 17 regional police offices. "We are proud of our law enforcers from the Cordillera because of their professionalism in the discharge of their duties and responsibilities to serve and protect the people. We observed that law enforcers from the region are faring well compared to their counterparts from other regions, especially when it comes to discipline," Catanes said. In order for this good reputation to continue, Catanes urged the public to help them in removing those so-called police "scalawags" who are putting bad image to the police force by reporting them to the concerned authorities. Last year Philippine National Police (PNP) Director General Oscar Albayalde urged the police to never slow down in their works which requires deep commitment, dedication to duties in order to keep the community safe and peaceful. "As Chief PNP, I want to underscore the fact that under my term, we will not leave no stones unturned in addressing the nation's peace and order problems particularly on illegals drugs and crime, as well as police scalawags," Albayalde said. He repeatedly emphasized the importance of discipline in the ranks of the police as he sent the message to all commanders that they are responsible for disciplining their personnel. Cordillera - Two Igorot martial artists are among the list of famous Filipino world champions in the Philippine combat sports that international business magazine Forbes picked as Pacquiao's successor once he hangs up his gloves for good. According to Forbes, it listed Eduard "The Landslide" Folayang and Kevin "The Silencer" Belingon among the possible fighters that could be in a position to succeed Pacquiao as the new face of Filipino combat sports. "He's currently in this second run as champion and he has been tabbed to main event his promotion's biggest show of the year on March 31 in Japan. 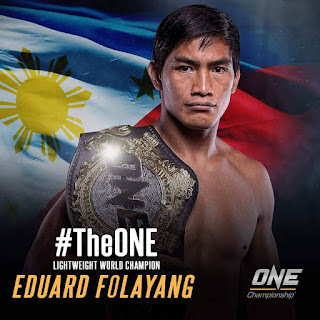 Folayang will face Japanese legend Shinya Aoki in a high-profile rematch..."
"If he can reaffirm his dominance over Aoki and bring the ONE title back to the Philippines, his already sizable popularity in his country will grow even more. Folayang has long been compared to Pacquiao by many, including ONE CEO Chatri Sityodtong. Folayang has also said Pacquaio's career, success and way of life are part of what motivates him," Forbes added. Another Igorot in the list is Belingon who currently holds ONE world bantamweight title. Belingon popularity in the world of combat sports is evident in his past fight where he defeated legendary Bibiano Fernandes via split decision during their second fight. His speed and explosiveness are also comparable to Manny Pacquiao's style which he is known for. Belingon will be part of the ONE: NEW ERA card set for March where he is going to face Fernandes for the 3rd time. This fight will be a test for Belingon and a stepping stone for him to be in the Filipino MMA scene. "In March, the two men will have their rubber match. 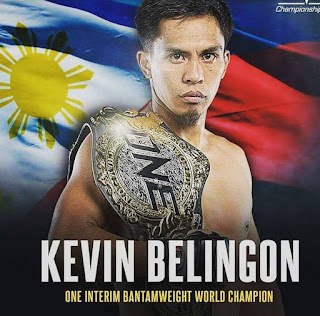 At 32, Belingon is younger than Folayang, but he needs a second win over Fernandes to entrench himself in the Filipino MMA scene and to be further established as one of the truly elite in his promotion and across the entire MMA scene." Forbes said. The other three Filipino fighters included in the Forbes' list are Erwin Ancajas, Jhack Tepora and Michael Dasmarinas. 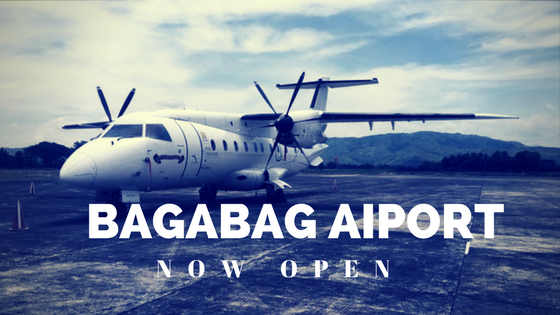 Cordillera - Visitors who want to visit the summer capital of the Philippines for a vacation may soon have the option to go by plane as soon as the Loakan airport re-opens for airlines. Flag carrier Philippine Airlines (PAL) has expressed its willingness to open flight to-and-from Baguio once the Loakan airport is going to be rehabilitated and reopened. According to a report from Inquirer, Socioeconomic Planning Secretary Ernesto M. Pernia relayed what the Civil Aviation of the Philippines (CAAP) said that the Loakan airport "needs improvements for safety purposes" before it can be used for commercial flights. Pernia said that PAL is willing to open it's flights to the country's summer capital once the Loakan airport reopens and when CAAP gives the go signal to operate. The opening of the Loakan airport could reduce the travel time going to Baguio from Manila and vice versa. Currently, the travel time from Manila to Baguio by land is five to to eight hours considering traffic on the road compared to around 45 minutes if by plane. The Loakan Airport is classified as class 2 principal airport by the Civil Aviation Authority of the Philippines (CAAP) and has been closed to commercial flights since 2009. The airport only serves chartered and military flights as of this moment. 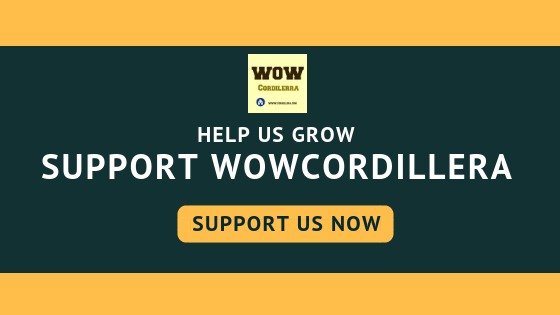 With the plan of improving the airport to be able to accommodate commercial flights presents considerable benefits for both businesses in the region as well as increase tourist arrivals in the Cordillera. 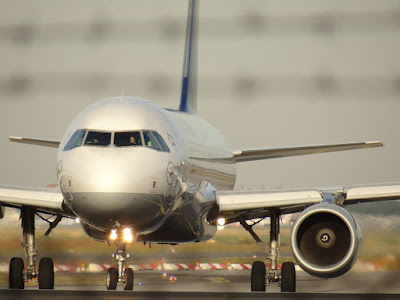 The initial study conducted by RDC in 2013 had shown that the airport would not need redesigning aside from the widening work to be made on its tarmac from the current 40 meters to 60 meters. 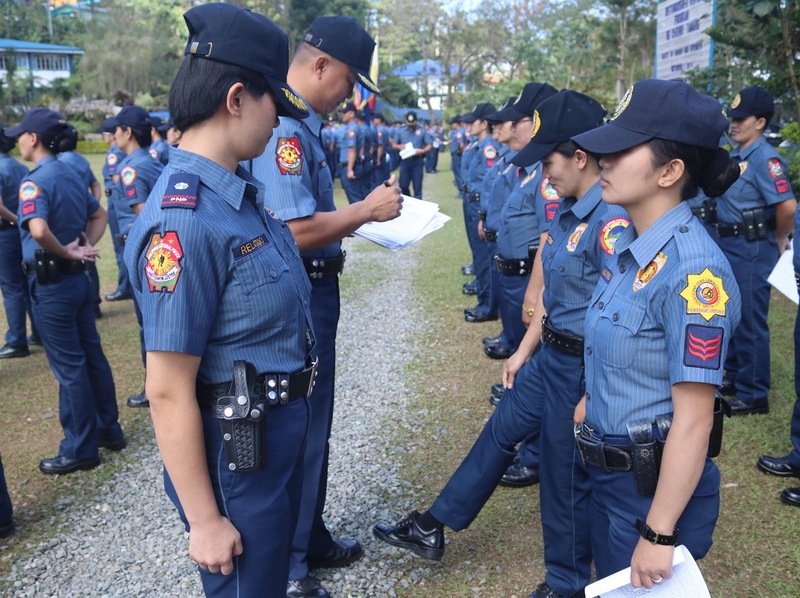 Cordillera - The Philippine National Police (PNP) is set to administer the oath of office to a newly promoted Cordilleran Police in a ceremony to be held at Camp Crame in Quezon City. Philippine National Police chief Director General Oscar Albayalde will administer the oath taking to Senior Superintendent Jesus Cambay in his promotion to one-star general. S/Supt. Cambay is a native of Lagawe, Ifugao and Baguio City and a member of the Philippine Military Academy Class of 1988. Cambay was the head of Police Regional Office-6 (Western Visayas) and has been designated as the Commander of the Metro Boracay Task Force (MBTF) in leading the 610-strong police personnel deployed in Boracay, Aklan in preparation for the six months closure and rehabilitation of the famous Boracay Beach. During his leadership in the Boracay index crimes fell by 80 percent. Only 10 cases of crime against property, including two robberies and eight theft, were recorded. As a professional, Cambay had served as the Police Director of the Baguio City Police Office (BCPO) in 2012. He was also assigned in different areas in the Cordilleras, both in the provincial and the regional offices from 1989 to 2008. 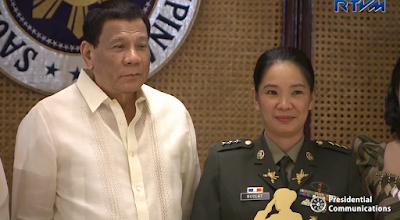 He has also received various police and military medals for his performance such as the Medalya ng Mabuting Asal, Medalya ng Pambihirang Paglilingkod and many other awards by various civic and socio-economic organizations. 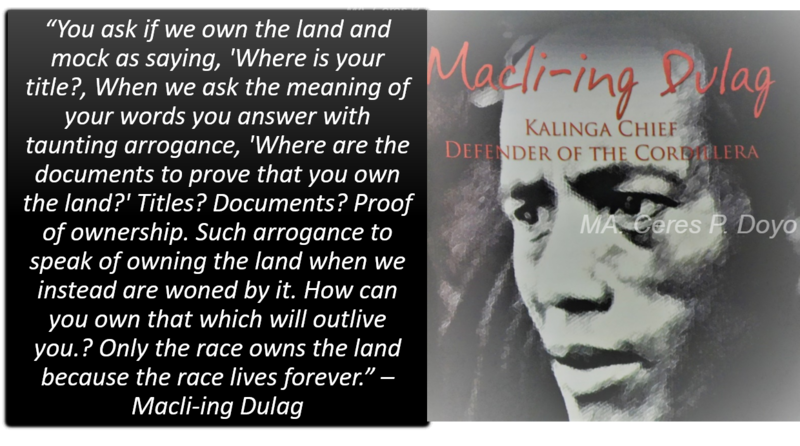 Cambay is a product of Lagawe Central in Ifugao, he had his secondary education in Isabela State University Science High School at PMA and took up his Masteral Degree at the Baguio Central University. He was a graduate of local police courses in comptrollership, basic intelligence and senior officer executive course and in vital installation security in New Mexico, USA in 2003.